Epic surfboard builder Roger Hinds moved into his new factory last week and is all systems go for his specialty 100% start to finish surfboards. Shelby is our new Surfy Surfy Art Director, look for new and groovy things from here via Surfy Surfy over the next few weeks. You can order the Shelby/Surfy/Hinds model custom. Turnaround in less than 30 days. Why 5 photos? Because that is how many I can email to Blogger from my iPhone. Peter Pinline tapes off another Bonzer. This is going to be Surfy stock! Waiting for fins and bottom hot coat. 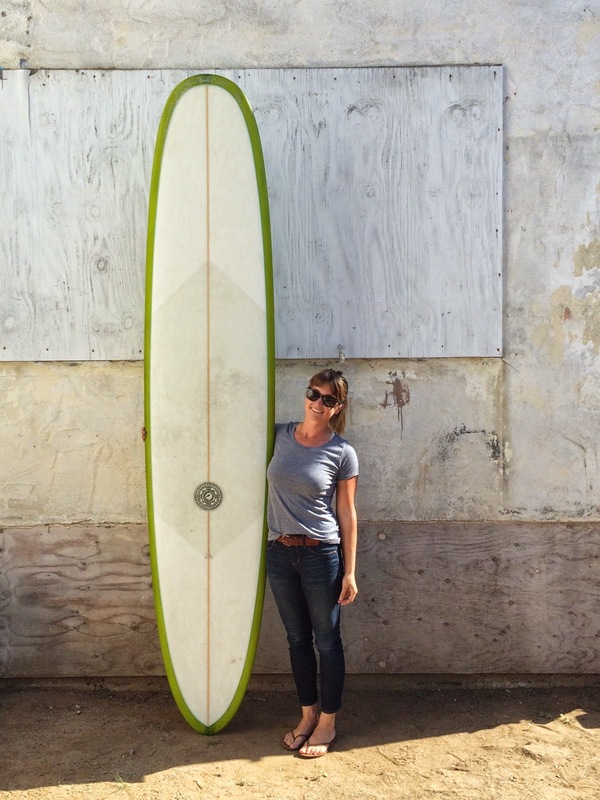 Peter Hanel (son #3 of shaper Gary Hanel and father of the famous Avery Hanel) shaped himself a surfboard! After a 4 year absence to pursue a career as a full time t-shirt folder, I returned to the factory today to help out with polishing. This is what greeted me, a 12′ red CC Glider Rush Job. It’s the 8 year anniversary of the Surfy Surfy blog, Hooray! 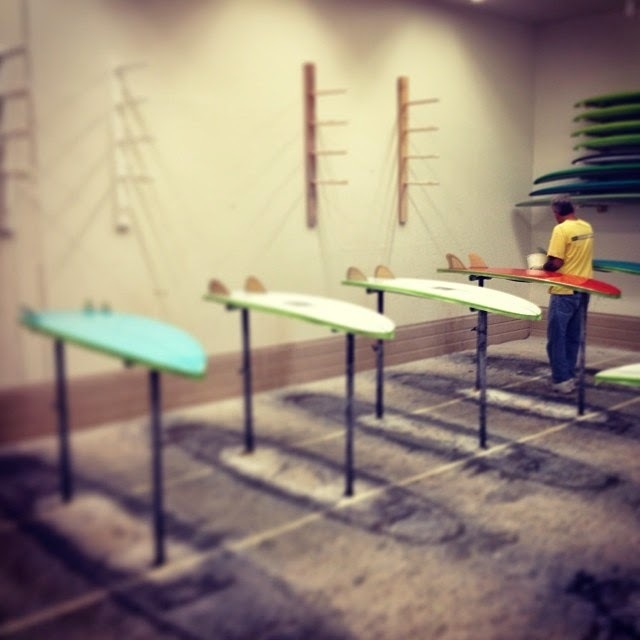 I started Surfy Surfy to showcase the surfboards we were building at Moonlight Glassing, with an emphasis on surfboards by the Campbell Brothers, Gary Hanel and Mike Slingerland. Since then Surfy Surfy has evolved into a full on thingy.